From classic onion dip to cheesy crostini, here are nine super-fast dishes to make this weekend for a Golden Globes party. Give popcorn a fantastic, smoky flavor by adding ground chipotle and smoked paprika. 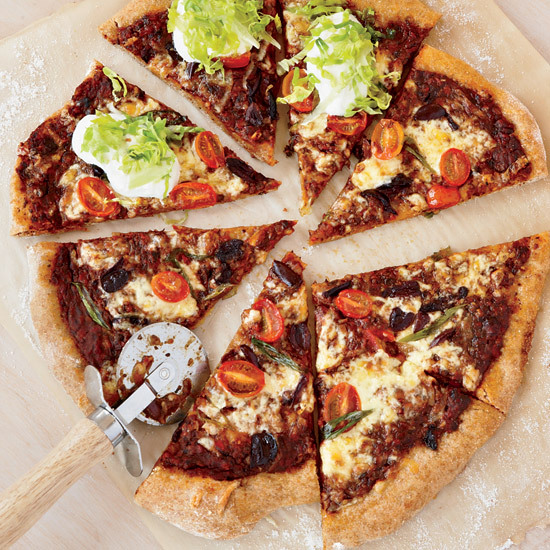 Deconstructed nachos were the inspiration behind this fun, fast pizza. This fantastic starter features creamed kale on toasted baguette, topped with delicious melted Parmigiano-Reggiano. Store-bought pitas and prepared hummus make quick work of Jose Garces's delicious tapas recipe. These Asian-inspired wings are perfect for a crowd. Ready in just 10 minutes, this delicious hors d'oeuvre features a lemony marinade. This fast, savory dip can easily be made ahead of time. For a new twist on the usual hummus or guacamole, try this terrific mash-up of the two. These irresistible snacks are made with a thick layer of cheddar cheese, chopped pimentos and bacon crumble.